VASCO Data Security International Inc. has launched DIGIPASS Nano, an addition to its mobile security offering. The solution consists of a thin film that users place over a SIM card, turning the phone into a mobile security device capable of generating one-time passwords and e-signatures. By placing DIGIPASS Nano onto the SIM card, end-users can securely access keyboard and display functionalities. With its unique form factor, DIGIPASS Nano will offer banks and corporations new perspectives in using mobile devices as authentication means, providing them with a new channel to interact with their customers. Mobile users will be able to perform secure transactions, access business-critical data or transfer money anywhere at any given time. The solution does not require any specific subscription and is therefore operator independent. Furthermore, DIGIPASS Nano can be deployed by banks and corporations to fit virtually every mobile device worldwide that supports SIM or USIM technology. 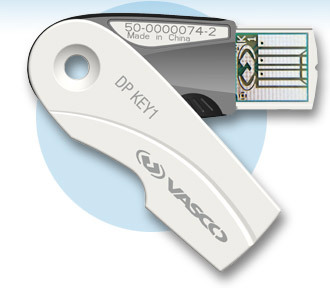 VASCO will showcase DIGIPASS Nano at Cartes 2010 in Paris, Dec. 7 – 10.